Zara loved seeing her puppies on on set during her Models Direct pet modelling assignment. The camera crew also loved having the fury models around. 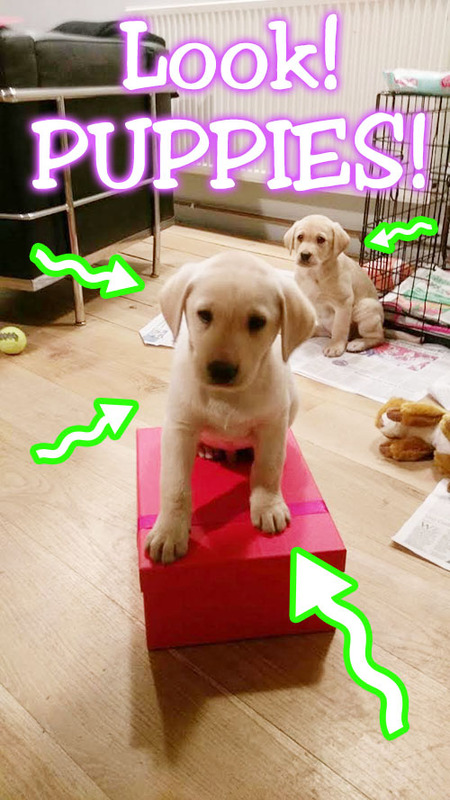 With the £300 modelling fee they got, that’s a lot of dog biscuits! A couple of posts ago Lucy shared with us why she would succeed at modelling. So it came as no surprise to her that Models Direct landed a lead role in Sonys new virtual reality video game commercial. Lucy had to model in front of a green screen and wind machine wearing a pair of virtual reality glasses whilst react to her surroundings. Back to reality, Lucy earned £200 in model fees for her modelling assignment. You can read what Lucy had to say about the booking on the Models Direct Facebook page here. Coming to a cinema screen near you! 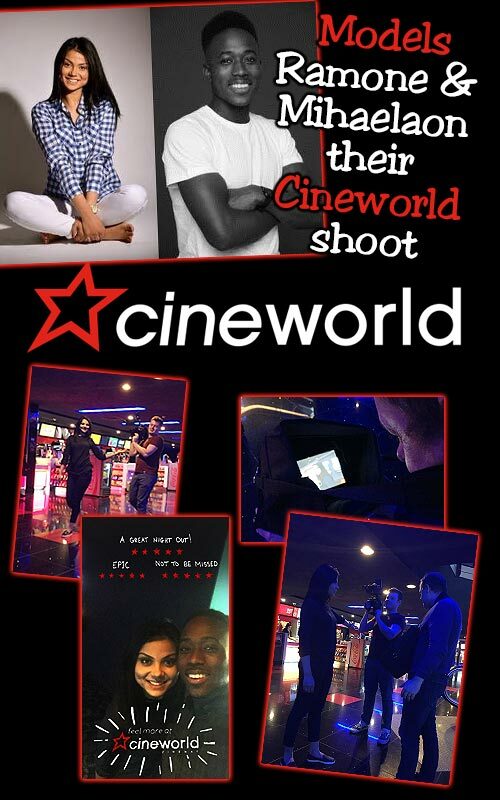 Ramone and Mihaela sent us some behind the scenes and sneak peak previews of their modelling assignment with Cineworld this week. Cineworld have used Models Direct to book models in the in the past and this time they picked Ramone and Mihaela for their latest campaign. Ramone, is a self confessed ‘big movie fan’, so this was his dream modelling job. Well done to the both of you. In this video Lucy shares the modelling secrets that lead to her success with Models Direct. Watch the video to find out how she succeeded in her ambition to become a model where others have struggled. See what she did differently and discover how she secured a number of modelling assignments.